Quick on the heels of last week’s release showing off the dream events from the Wii edition, Sega today unveiled the dream events in the DS edition of Mario and Sonic at the Olympic Winter Games. 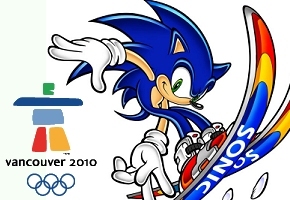 As in the Wii edition, these events will span several areas, including hockey, snowboarding, and skiing. Where these events take place isn’t quite as recognizable as in the Wii edition. But you can see that tricks can be performed on the snowboarding stages, and that dreaded blue shell from Mario Kart makes an appearance. Also included is a glimpse of how Fever Hockey will work–it appears you’ll have to shoot for points before going for the actual goal. Take a look at the new video below. We hope to have more media for you in the coming days as M&S Winter Olympics nears release.